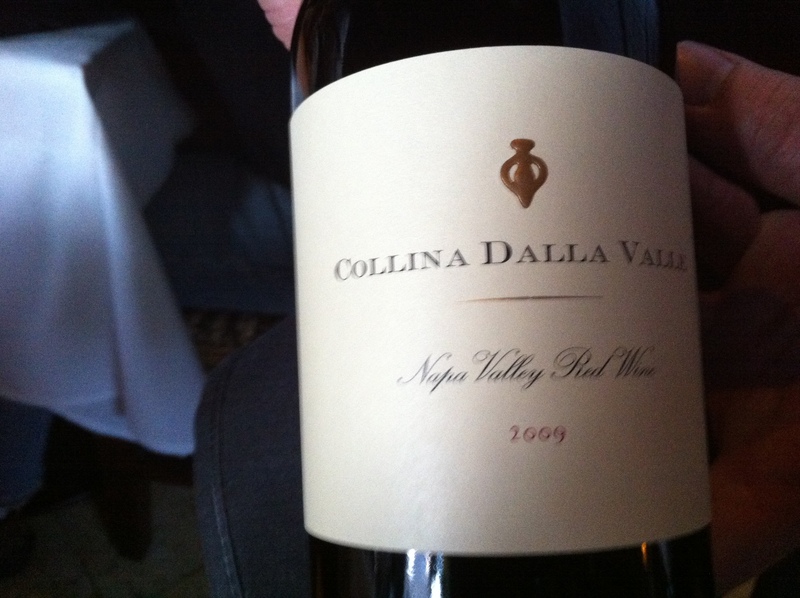 Another great Napa bottle, a blend, is this Collina Dalla Valle, 2009. Bad picture, epic wine. Moving over to France, my pal Jordan surprised me in the band room with a magnum of this fine Bordeaux. I am utterly a newbie when it comes to this region, but I can tell you, this was a very special bottle of juice. 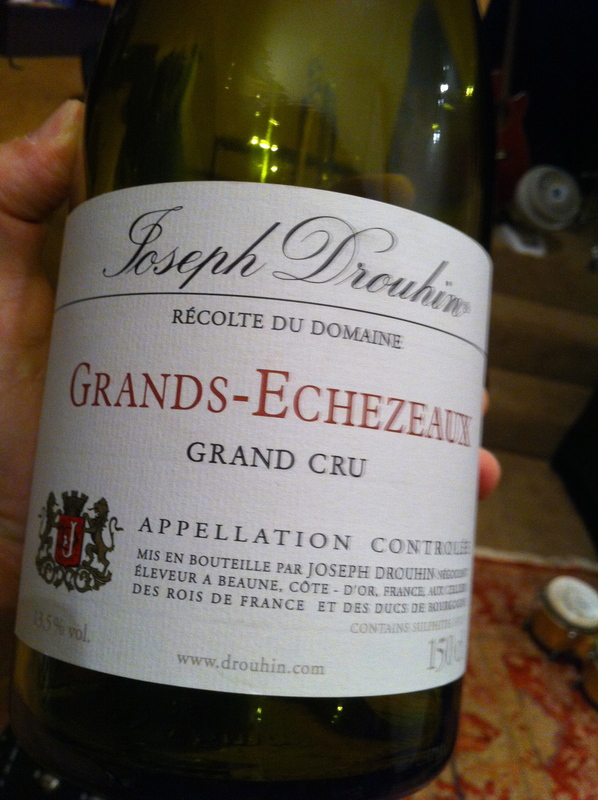 Joseph Drouhin, Grands-Echezeaux Grand Cru. 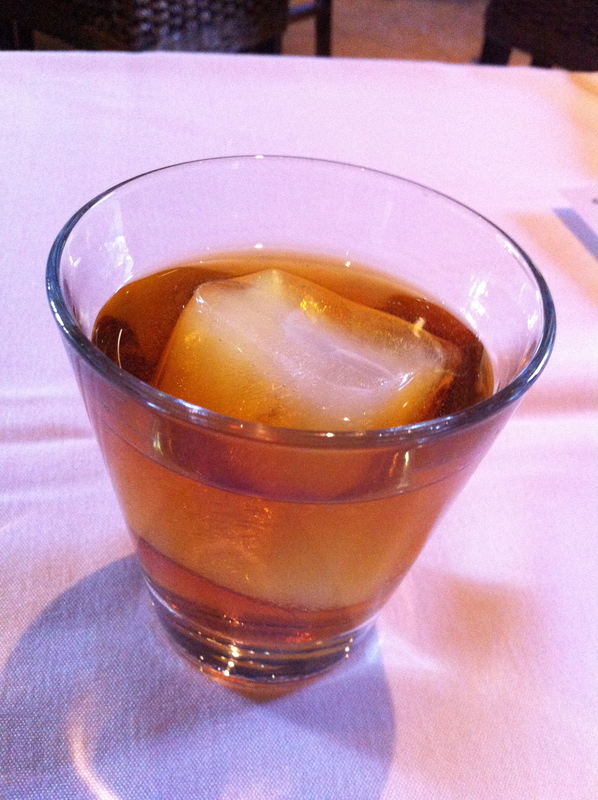 I did not catch the vintage. 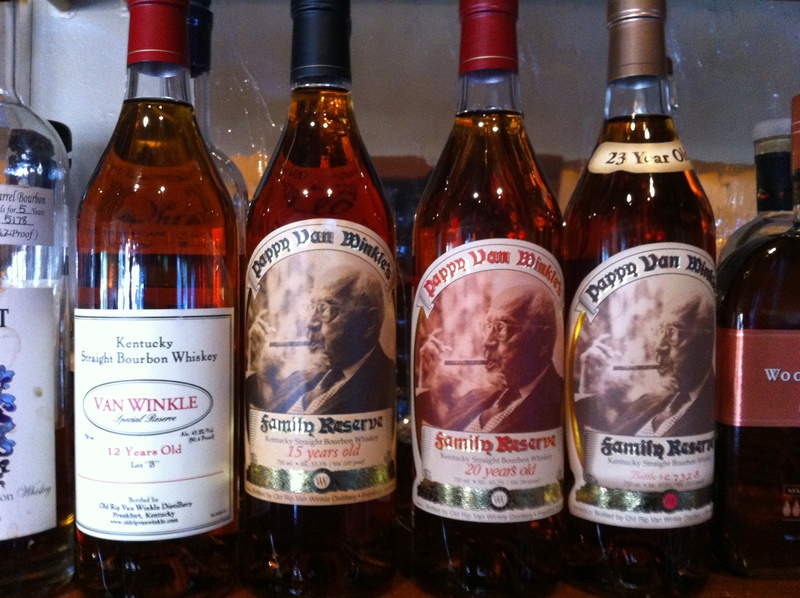 That’s the Van Winkle 12, which ain’t really a “Pappy” per say, and then the 15, the 20, and the 23, all in a row, and all unopened. 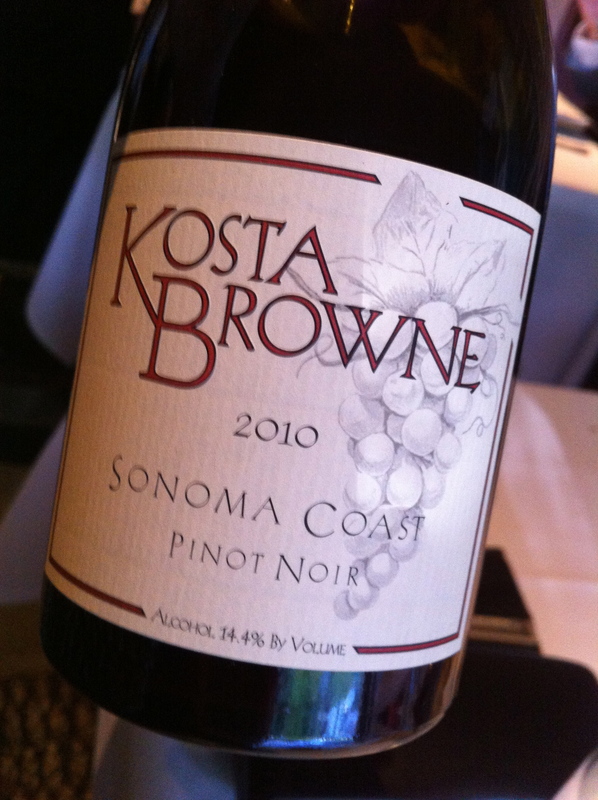 Finished the evening with a fine new Kosta Browne Pinot. 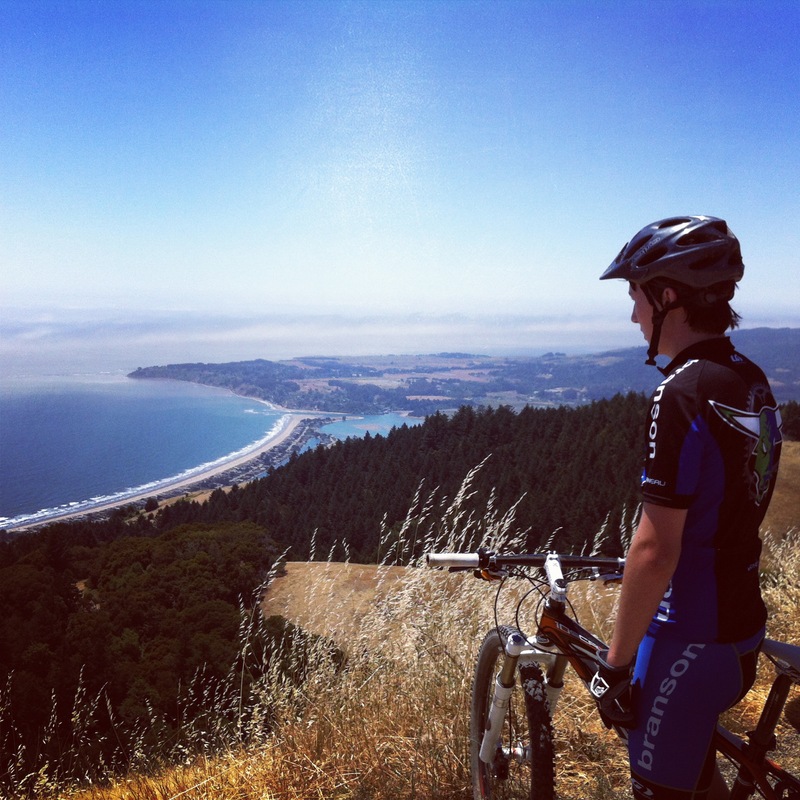 An elite Sonoma vintner, and very tasty. 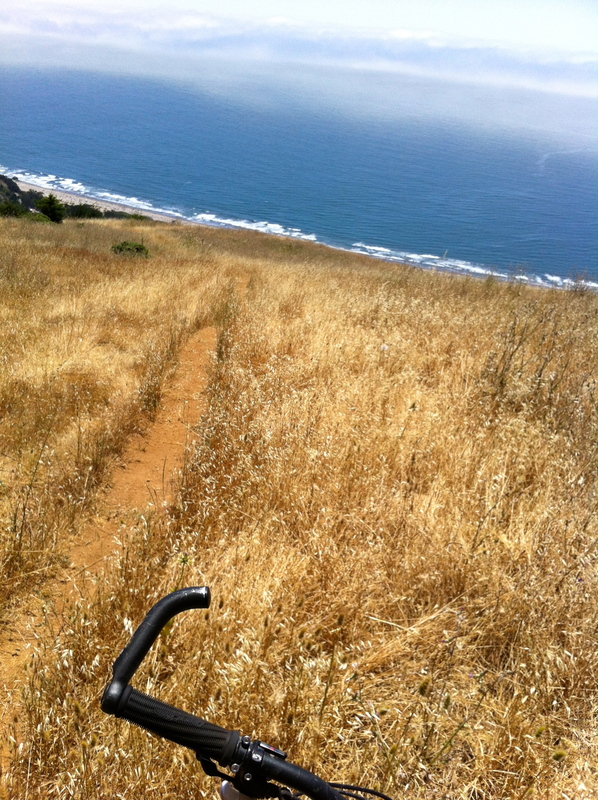 And yes, you purist riders out there, I have bar ends on my bike. I need the extensions for my back, which doesn’t like being all hunched over much. And yeah, they help on the uphills, I’ll admit it. Well, that’s the update. 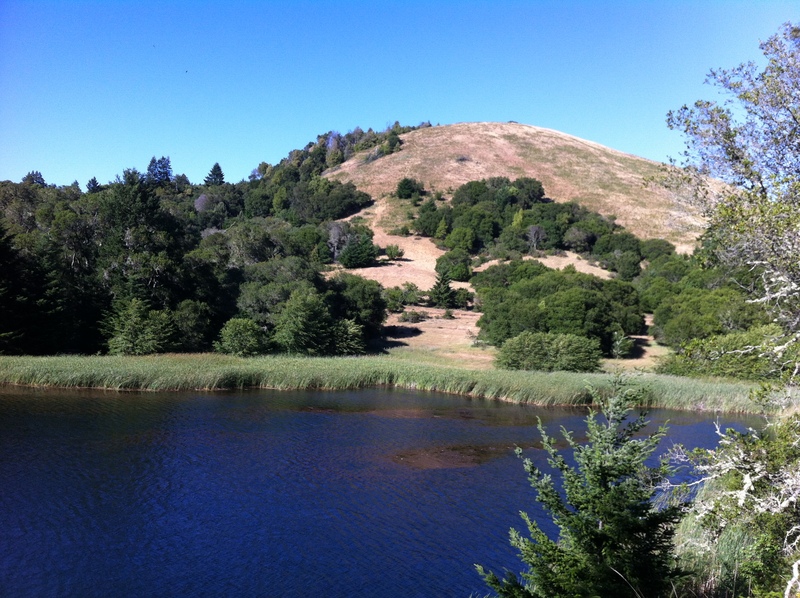 I love living in Marin.